On the eve of the Icelandic Elections… WITHER DEMOCRACY, by Professor Lawrence Lessig, speaking from the University of Iceland. Lessig explains how democracy has failed the US and other citizens of the world, and how Iceland is on the brink of implementing an entirely new and improved system, based on a PEOPLE’S CONSTITUTION. Yes, it’s a world first, but then Iceland was the first country ever to form a parliament. 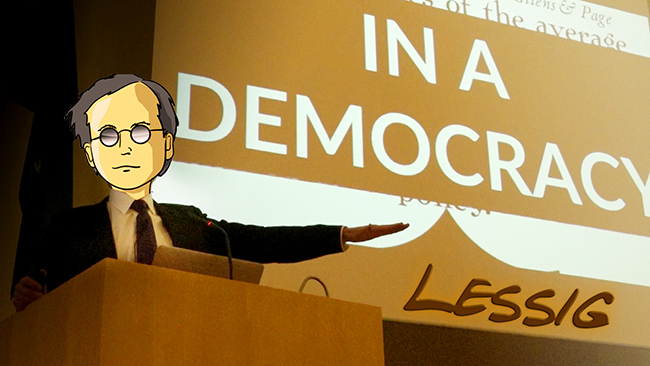 Lester Lawrence “Larry” Lessig III is an American academic, attorney, and political activist. He was the co-founder, with our beloved Aaron Swartz, of Creative Commons. He is the Roy L. Furman Professor of Law at Harvard Law School; and the former director of the Edmond J. Safra Center for Ethics at Harvard University.